This innovative laser treatment is especially effective for treating fine lines, uneven pigmentation, and patches of sun damaged skin. If you want to clear up your skin and bring out your natural glow, the Fraxel DUAL may be the right skin rejuvenation procedure for you. We recommend three to four treatments every two to three weeks for optimal results so you can get started with your sessions leading up to the holiday season. If you’re looking for more dramatic results in one session, consider undergoing the TotalFX treatment that is very effective for tightening the skin. 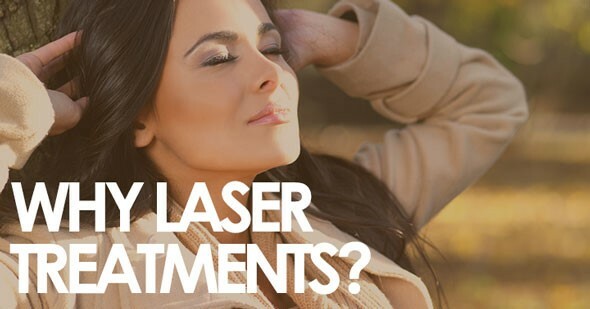 The laser resurfacing treatment can smooth out fine lines, reduce skin discoloration, and also soften wrinkles. It is a combination procedure of ActiveFX and DeepFX treatments that are performed together. The Fractional CO2 laser treatment is an advanced skin renewal treatment that can target fine lines and very small areas of the skin with great accuracy. If you’re ready for a skin rejuvenation procedure that will take a few years off your appearance, talk to Dr. Michalak about the Fractional C02 laser treatment. Just a single treatment can be very effective for smoothing out facial wrinkles, scars, and the finer lip lines around the mouth. The treatment can also soften the skin to improve your complexion. Are you ready to put your best face forward for the New Year? Schedule your laser skin rejuvenation consultation with Dr. Michalak today!